Leo must rate as one of the finest pitchers in the annals of Lowell High School baseball. 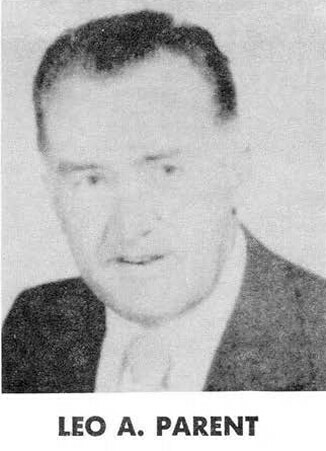 During his three-year varsity career under Coach Stan Stoklosa, Leo compiled a 25–8 won-lost record. He hurled 255 2/3 innings, yielded only 142 hits and 109 walks, struck out 364 batters, and compiled a sparkling 1.07 earned run average. 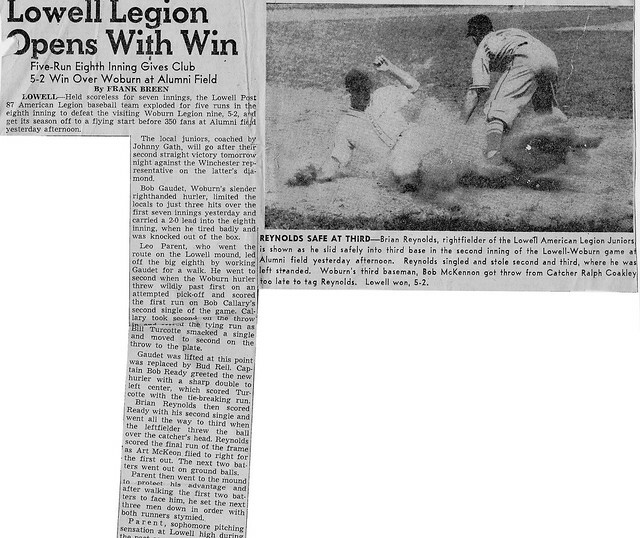 Also a feared hitter, Leo was a Greater Boston league All-Star, and in 1949, 1950 and 1951, a first team All-Scholastic selection. 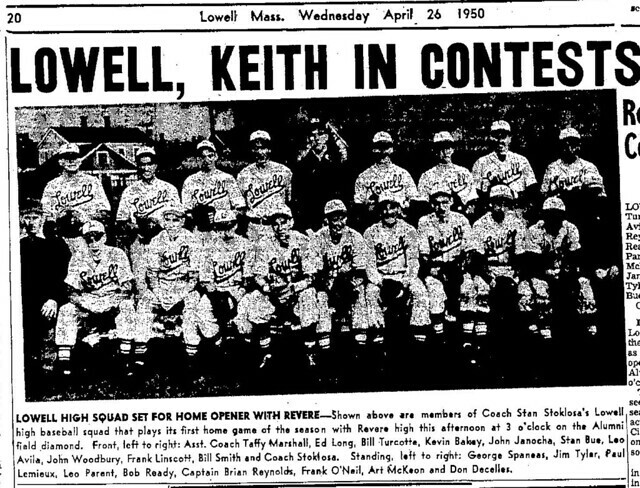 Leo culminated his high school baseball career by participating in the prestigious Hearst All-Star game at Fenway Park in 1951. 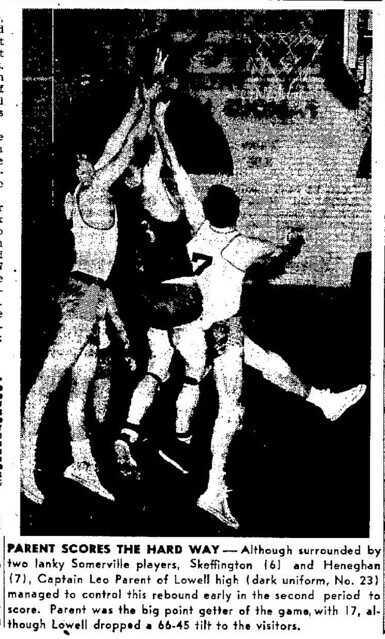 In addition to his baseball skills, Leo also was a standout basketball player for the Red and Gray, being named team MVP in 1949, 1950 and 1951. He was team Captain his senior year. His aggressive style of play made him a standout rebounder and scorer. After graduation, Leo signed a professional baseball contract with the New York Yankees. An injury ended his hopes of reaching the major leagues after 4 1/2 years. Leo then enrolled at Lowell State College. Over the next four years, he rewrote the school’s record books in both baseball and basketball under Coach Jim Ciszek. He was named to the New England State College Athletic Conference All-Star teams in both sports in each of his four years at the school. 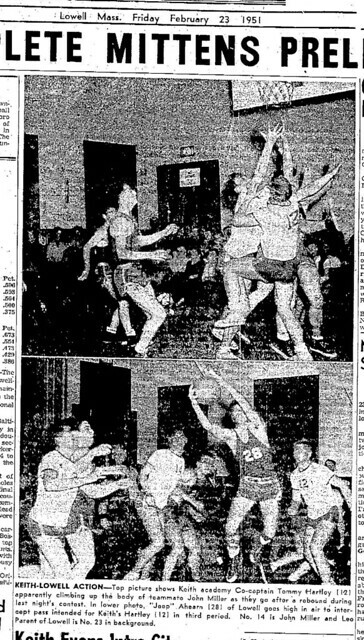 Leo coached basketball and baseball for the Red and Gray in the 1960’s and developed many fine athletes who went on to very successful careers. Leo was among the initial group of inductees into the University of Lowell Athletic Hall of Fame in 1977. 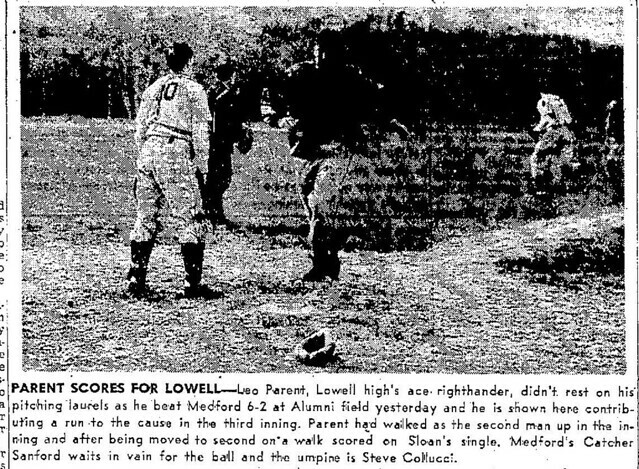 RICK HARRISON Sun Staff -LOWELL — Leo Parent was a baseball player — perhaps the greatest Lowell High School has ever seen. 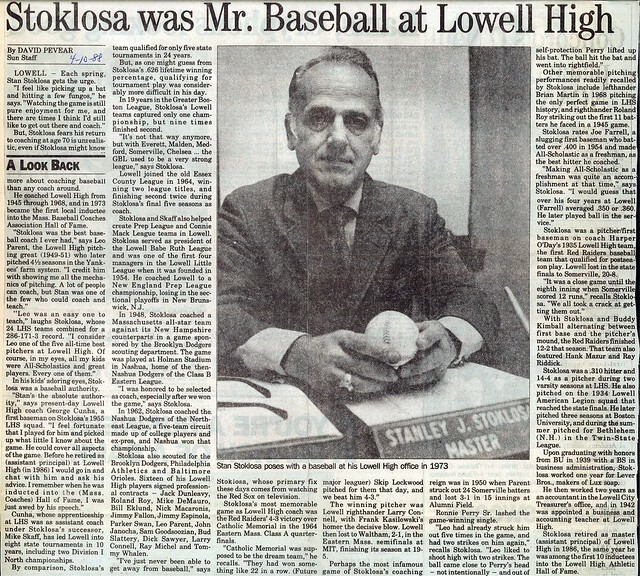 “Whenever anyone asks me who was the best player you coached, I say, ‘Leo Parent’ without any hesitation,” said former Lowell baseball coach Stan Stoklosa. But those who knew Parent as an outstanding athlete only knew half the man.Parent, 68, who died Sunday at Brigham and Women’s Hospital in Boston, was also a highly respected Lowell educator and a devoted husband and father.”Not only was he a can’t-miss athlete, he was a thoroughbred person,” said Stoklosa. “You won’t come across a finer man than Leo Parent. 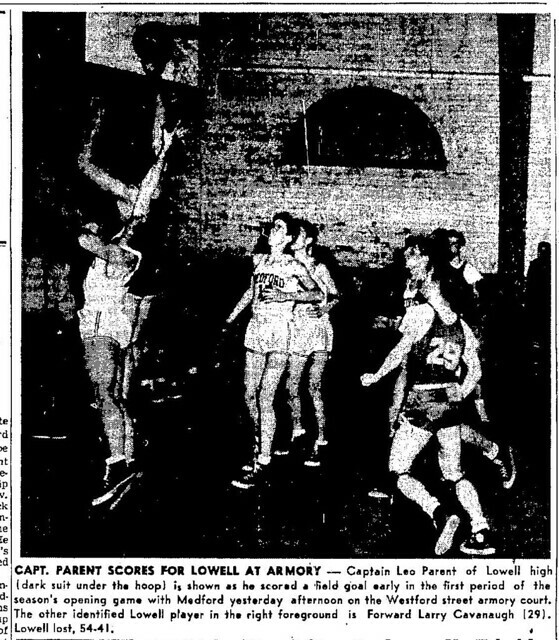 I’ve had a sad heart since being informed of his passing.”After a storied athletic career, and almost four decades as a teacher and administrator in the Lowell school system, Parent retired in 1997. Throughout his life he remained humble and rarely spoke of his numerous personal and professional accomplishments.A strapping 6-foot-1 and 215 pounds in his athletic heyday, Parent was a big, strong bear of a man. 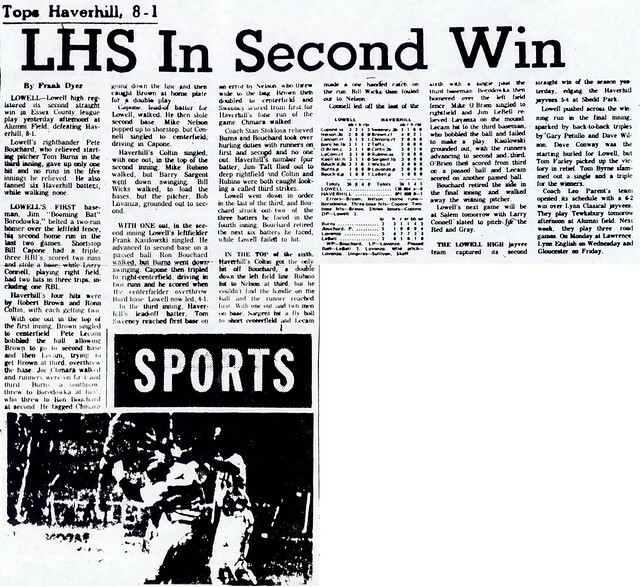 “He was probably the best athlete Lowell High ever had,” said Sam Weisberg, a retired Sun employee who spent most of his 40 years at the newspaper in the sports department.Parent is believed to be the winningest pitcher in Lowell High annals (25-8), and he also starred on the basketball court as a center/forward for the Red Raiders.”Leo Parent is the standard by which I measure all the players who spent time under my jurisdiction,” said Stoklosa, 84, who coached Parent for three years and was in charge of the Red Raider program for 24 years. “From a point of leadership, dedication and performance, there was none better.”He was a power pitcher who depended mostly on his fastball,” said Stoklosa. “Whenever he pitched there would be Major League scouts at the game. Scouts from the New York Yankees, Brooklyn Dodgers and Chicago White Sox were really high on him. “After high school graduation in 1951, Leo was drafted by the Yankees, setting aside a scholarship to Holy Cross and acceptance to several other colleges. 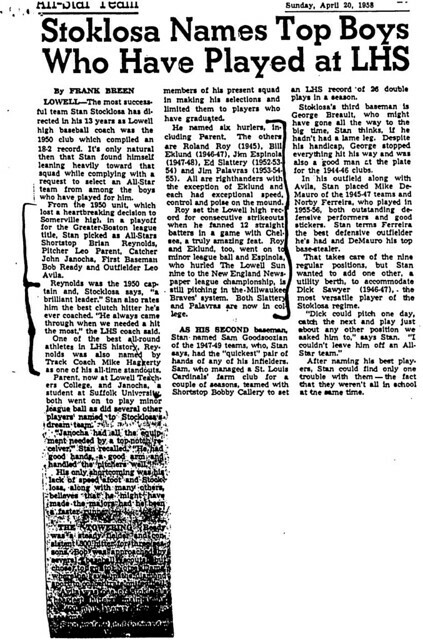 But after several years pitching in the Bronx Bombers’ minor league system, a combination of back, shoulder and neck problems shattered his hopes.”He told me he left the pros because he couldn’t keep the ball in the park anymore,” said his son, Leo.He returned to the city and spent four years playing baseball and basketball for coach Jim Ciszek’s Lowell State Indians, where he once tossed 16 innings as the winning pitcher in both games of a doubleheader sweep against Salem State. Upon college graduation Parent began his career in education, with his first stop at the elementary school level in Wakefield. At the time he was also studying for his master’s degree at Fitchburg State College.He later taught sixth grade at the Reilly School in Lowell, launching a 35-year career in the city’s school system that included three decades as principal at the Hugh J. Molloy school — the Molloy library bears his name.Inducted into both the Lowell High and then-University of Lowell athletic halls of fame, Parent also coached basketball at St. Joseph’s High and was an assistant baseball coach at Lowell High. 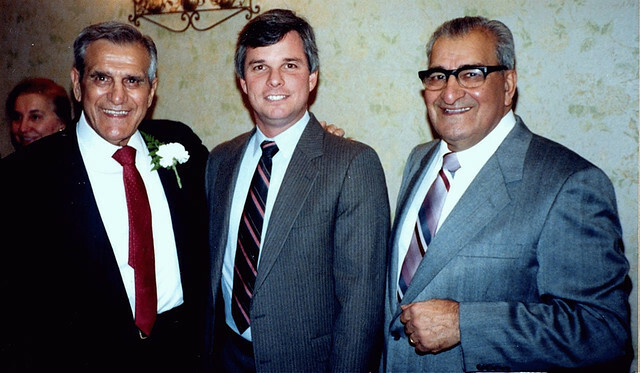 Longtime LHS varsity baseball coach George Cunha knew Parent.”Leo lived just around the corner from Alumni Field, and there were many times he would walk over to watch us practice or I’d spot him sitting in the stands at our games.”When I was assistant coach to Mike Skaff — this would have been around 1970 — Leo would come in at Mike’s request and help out by throwing batting practice to the kids.”He was a big righthander who threw hard — but Mike wanted the kids to get a look at Leo’s curveball. This was before the days of the (pitching) machine, and Leo was more than happy to do it.”I saw him just last week and he asked how this year’s team would be. He was a wonderful person, very friendly and always interested in the kids.”In spite of his starry resume, Parent preferred not to sit around telling old war stories.”He had a small circle of friends, and his best friend was my mother,” said son Leo.Parent was also a voracious reader. Books were his favorite hobby. 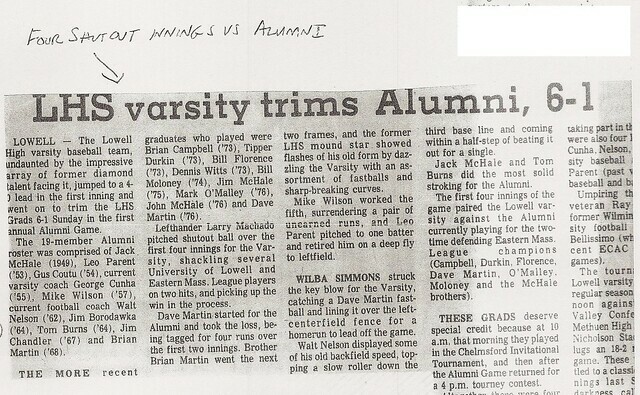 (c) 2002 The Sun (Lowell, MA). All rights reserved. Reproduced with the permission of Media NewsGroup, Inc. by NewsBank, Inc.